​The Pikes Peak Section once again awarded two female scientists for their efforts at the Pikes Peak Regional Science Fair. SWE recognized participants at both the senior high and middle school levels. Award winners were seventh grader, Alexis Johnston, of The Classical Academy and Kathryn Kummel, a sophomore at Palmer High School. The winners each received a $25 gift certificate to Barnes and Noble. Miss Johnston’s experiment, entitled “Clean it like you mean it”, investigated the best design criteria for cleaning re-usable straws – so that more plastic straws can be eliminated from waste debris. Consumers need a machine that cleans reusable straws because reusable straws are difficult to keep clean, and bits of food cling to the inside of the straw, possibly exposing people to harmful bacteria. She built her own prototype to investigate the practicalities and also to investigate a unit which can be mass-produced economically. Based on the analysis, the next prototype would have a longer brush. This would allow the straw to be cleaned without flipping the straw upside down. In “Determining if the alpine treeline ecotone is a product of a catastrophic bifurcation”, Miss Kummel presented a novel approach of characterizing the alpine treeline as a phase transition from one phase (forest) to another (tundra). Phase transition research in other systems shows that the structure of transitions often displays fractal geometry, which is a hallmark of catastrophic bifurcations. Catastrophic bifurcations are characterized by abrupt shifts between two phases that are hard to reverse and coexistence of both phases within the same environmental conditions. 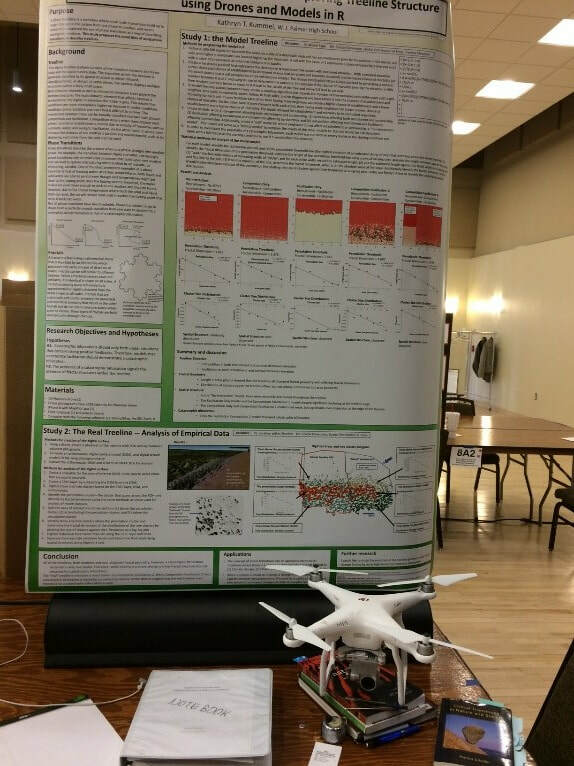 She used drone-generated maps to analyze the transition zones versus mathematical models. Only one model, where trees facilitated survivorship and inhibited recruitment, showed catastrophic bifurcation. The analysis of a real treeline showed that it has a fractal structure and is most similar to the facilitation-driven treeline model, but it was not possible to determine if it is a result of a catastrophic bifurcation. The presence of fractals cannot predict the reversibility of a phase change, but it can predict when a system nears ta tipping point; this is applicable to climate change and medicine, as well as society. 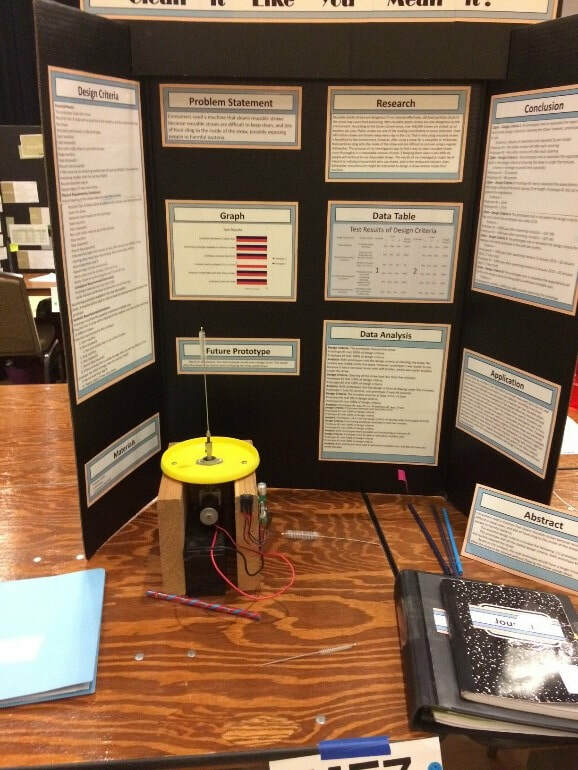 The Science Fair remains a crucial outlet for young ladies to demonstrate their science capabilities and garner confidence and recognition – although the total number of participants continues to decline every year. We witnessed the invention of a proximity sensor for the blind to wear on their T-shirt; a composter that made energy from animal waste; a nerf gun from PVC pipe, and the use of drones to map erosion in ecosystems – to name a few. There were only 12 total female participants (all categories) in the high school division, but this was 60% of the participants. For the middle school, of the roughly 100 projects, it was split 50-50 for the young ladies. The SWE Pikes Peak Section engineers have a varied background.